Whatever makes me happy! 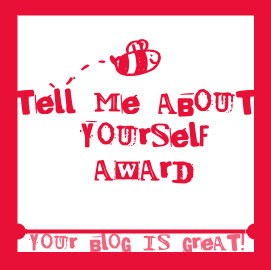 : Tell me about yourself award! everyday gave me an award, the award of "Tell me about yourself". 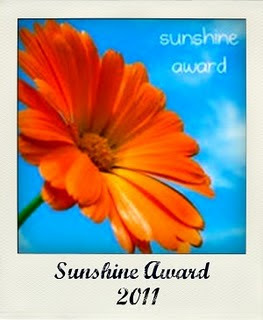 In this award you have to notice 7 things about you! 1.I do not sleep very much!In fact I sleep late at night because I feel like I am loosing time of my life! 2.I am a Leo by heart in everything! 3.I do not have the sense of time..I am the person that is always late and of course when i am on time I do not have a complain of others for being late because I did it many times myself! 4.I sleep with 3 pillows one for hugging and the other for my leg..
5.I adore lipsticks and lipglosses .I can be without nothing in my face but i can not feell well without something in my lips! 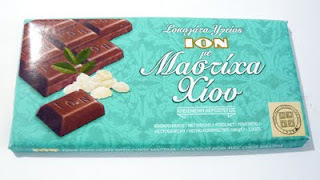 7.I live for chocolate!Or chocolate lives for me.....I do not like other sweets but chocolate is another story!I prefer black with mastic or almonds! 8 Νοεμβρίου 2011 - 2:30 μ.μ. Isxuei Emelia!kako odos!alla tha koimithume otan megalosume! 8 Νοεμβρίου 2011 - 9:12 μ.μ. 11 Νοεμβρίου 2011 - 3:06 π.μ. 12 Νοεμβρίου 2011 - 11:53 μ.μ.